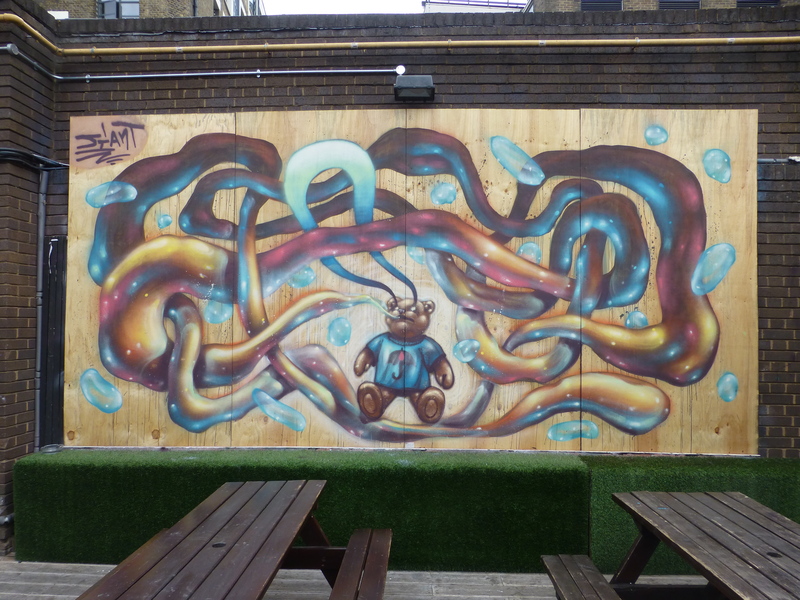 Last Saturday in the Truman Brewery, working alongside fellow Argentinian Street Artist Martin Ron, was Jiant, someone whose work we were previously unfamiliar with, but very much liked what we saw here. 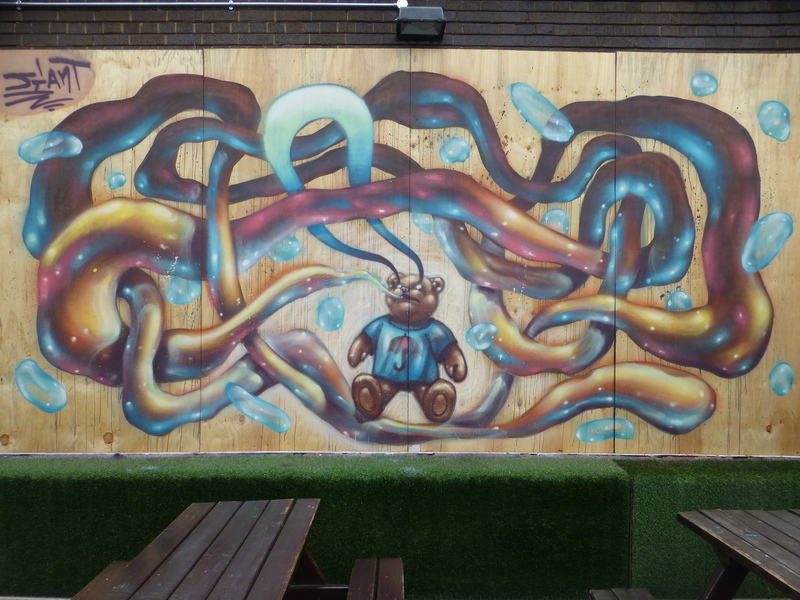 Animals and fantasy driven landscapes are a common theme in Jiant’s works and this piece takes on that basis. 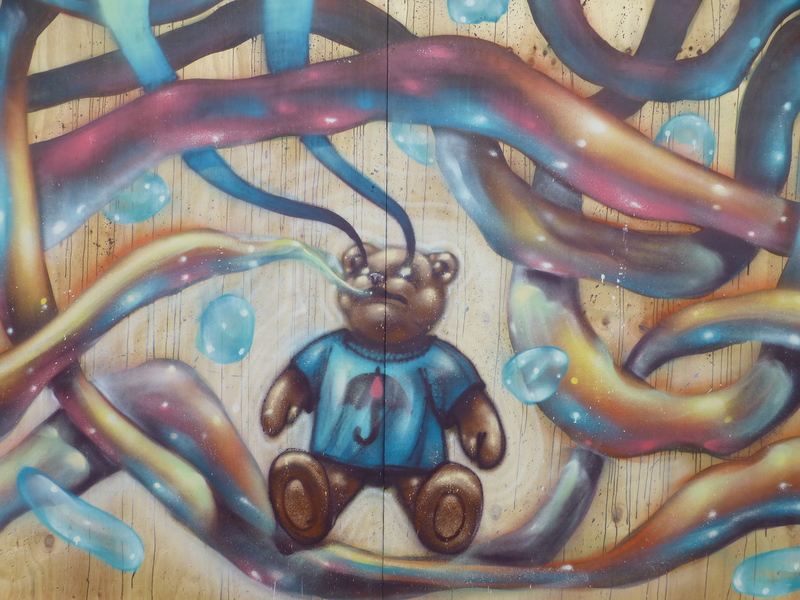 Presenting a surreal depiction of a teddy bear which appears to be at the centre of the universe, being powered and simultaneously powering the cosmic energy in its world, with water being the primary element, portrayed through the water droplets and countered by the umbrella design on the bears t-shirt. The piece really generates a sense of eternal energy through the warm hues and the all-round dream like tone and is a pleasure to gaze upon. Jiant is currently working on a large scale collaboration with fellow Argentinian Street Artist Martin Ron in Hackney Wick, which we will be sharing with you upon its completion.